The Canary Islands are regarded as the European Hawaii with pleasantly warm air and water temperatures throughout the year. 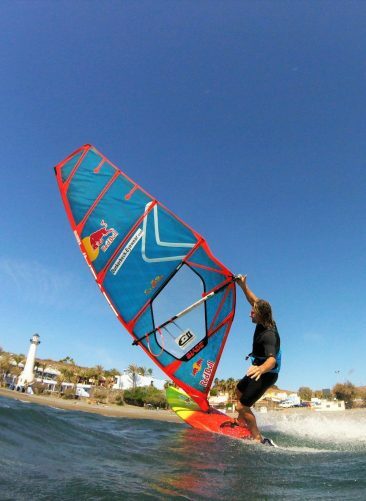 And Gran Canaria is the perfect place for windsurfing. Get infected by the thrill at the Dunkerbeck Windsurfing School. Since 1978 the Dunkerbeck family has been running Gran Canaria's southernmost windsurf center in the bungalow complex „Side Shore“ directly at the beach of Playa del Águila. 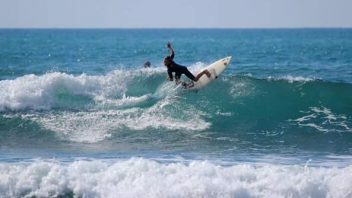 The superb location, the professional experience, the top material combined with the excitement of doing water sports are the best preconditions for a successful surfing holiday. Not only for advanced wind-surfers but also for beginners. 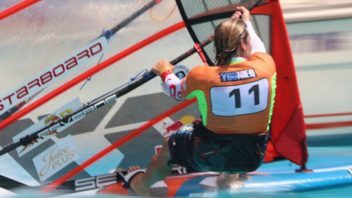 Well-looked-after and current windsurfing material of the successful labels Starboard & Severne are available in many different sizes and suitable for guests of all skill-levels. You can also learn Stand-Up-Paddel boarding and surfing at the Dunkerbeck Windsurf Centre. Depending on the wind and water conditions you can rent the necessary equipment for either of the three sports. Björn Dunkerbeck himself you can meet very often in the sea shore here, when he trains his son Liam or just speed trains with his father and friends. 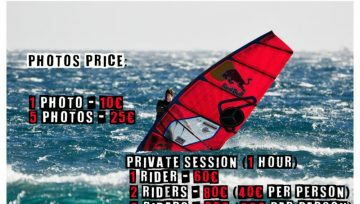 See our Windsurfing Courses & Prices here and find out more about the Side Shore Bungalows on the About Us page. In 2013 the BD Surf School has opened its doors in Playa del Inglés including a fancy surf shop on the bottom floor. 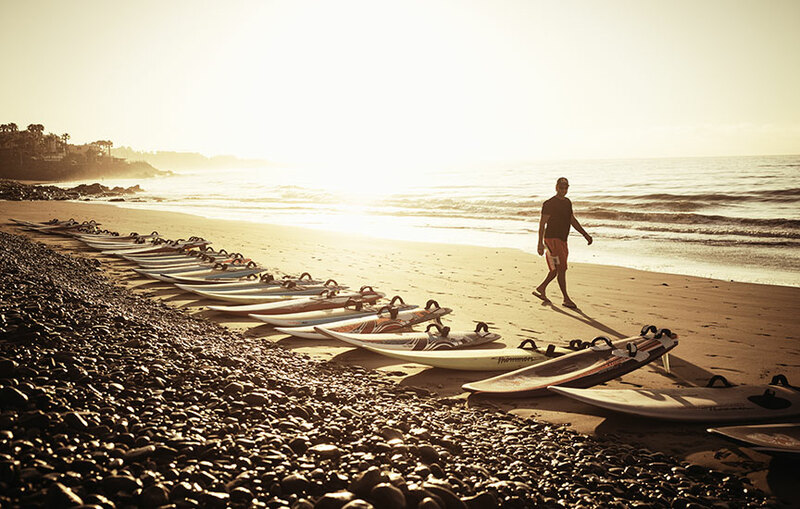 Here holiday makers and locals can learn how to surf, stand-up-paddle-board and body-board. The school is situated directly at the fine sandy beach of Playa del Inglés and it is only a few minutes’ walk to the surf zone. Holiday makers appreciate not only the professional courses run by our top professional instructors but also the convenience of a mobile school: If the waves in front of the door should not be sufficient, we are very likely to find another spot that offers better conditions that day. For the local kids, there is a surf club. 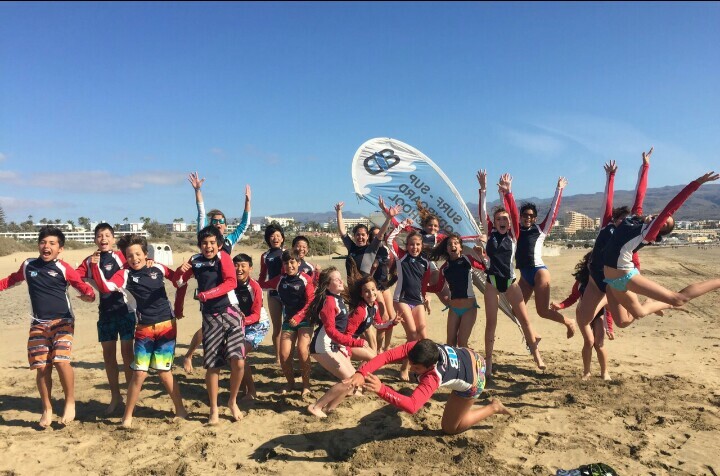 Up to 40 youngsters come to the surf courses at weekends and on holidays and train to take part in regional surf competitions. 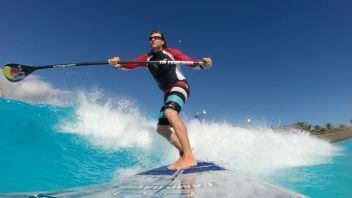 Surfing, Windsurfing and SUP are absolute trendy water sports! We want to enthrall as many people as possible in our schools! Do you want to become part of a big water sport-family? Come by and have yourself infected by the surf bug. We have the appropriate course for you. We are looking forward to seeing you! See our course and equipment prices here.